We sit a couple of weeks away from the 2018 NFL draft and there has been quite a bit of speculation surrounding the New York Giants and the number two overall pick. On one side, we have fans who want to draft the quarterback of the future, whether it be Josh Rosen, Sam Darnold or dare I say Baker Mayfield. 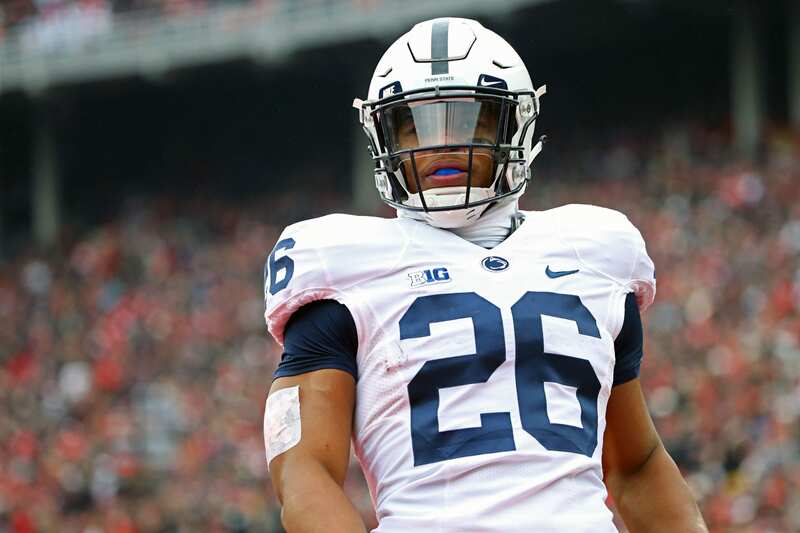 On the other hand, we have fans that have been salivating for a talent like Saquan Barkley which should give the Giants a formidable rushing attack that we have been so desperately craving. There is even a contingent of fans who would like to trade back for a haul of picks in order to clean up the lack of depth Jerry Reese left the team with. There is no clear cut conclusion as to which strategy is right, but one thing everyone can agree on is that the Giants cannot make a mistake. With so many possibilities at the number two pick I decided to do a little research on the history of top 5 overall picks. In order to do that I compiled all of the top five picks in the last 30 years and broke them down into three categories. Superstar career, good career and bust/flop. The things taken into consideration to differentiate the three categories for each career path is longevity, pro bowl appearances, All Pro teams, championships and any individual awards one may have earned throughout the duration of their career. After compiling that data, I took it a step further and broke it down by position. For example, there were 34 quarterbacks drafted in the top 5 over the last 30 years. 12 of them went on to have superstar careers, 10 had good careers and 12 were busts. Below I will provide you with the chart and breakdown of each position. Based off of draft history, the quarterback position is the one that has been chosen the most in the top five over the last 30 years and rightfully so (it is the most important). It is then followed by offensive line, defensive end and running back (strangely enough every position the Giants need). If you look at the highest probability of drafting a superstar than the odds are in the favor of an offensive lineman and running back. If you want to draft safe, the position with the lowest bust potential is a defensive tackle and offensive line. Biggest bust potential would be a defensive end and running back. Based off of this information, the smartest thing for the Giants to do is draft Quentin Nelson at 2 right? Well, not so fast. After analyzing 30 years of NFL drafts and top 5 picks it is clear that nothing is clear. There is no perfect draft strategy, there is no sure thing and there is no telling the future. By now I am sure you have seen a couple hundred different mock drafts. You have heard numerous analysts talk about each prospect and how they project to the pros. You have been told who to be weary of and who to be excited about. Well, they are all educated guesses. Some obviously more educated than others but guesses nonetheless. However, there is one particular set of data that all fans need to be aware of and that has to do with quarterbacks who are drafted in the top 5. This is for all the fans adamant about a quarterback at 2. 16 of the quarterbacks drafted in the top 5 had a winning record, 17 had a losing record, 1 drew even. Quarterbacks drafted in the top 5 over the past 30 years averaged 51.1 wins for their career and 47.9 losses. It is very enticing for a team to draft their quarterback of the future, but it does not always mean success. The NFL draft is all about value and probabilities. There are so many different aspects of drafting that we often look past such as positional value, offensive and defensive scheme fits, roster composition, ect. It is more than okay to have a favorite prospect that you want your team to draft. Just know that their is a decent chance that player may not turn out to be the player you thought they would. Now, let us take a step back and follow these simple instructions to ensure a pleasant draft experience. While keeping your opinions, stop bickering in a disrespectful manner about which player you think the team can draft. Stop telling everyone else who disagrees with your opinions that they are flat out, undeniably wrong. Enjoy the excitement that comes with your favorite franchise drafting a hopeful up and coming star. Don’t be disappointed the player you want was not taken by your team. The player chosen may be better than who you wanted (remember, there were Colt fans who wanted Ryan Leaf). On April 26th at 8PM, grab a snack, a drink of choice, your favorite spot on the couch to sit back and watch a lot of young men’s lives change for the better. Oh and why not..……… I would take Saquan Bakley with the number 2 overall pick.